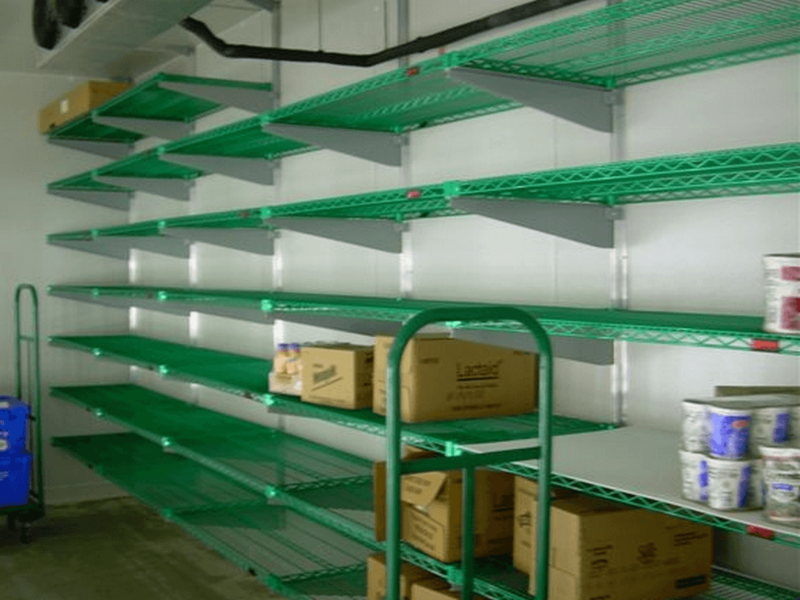 A relationship with E-Z Shelving Systems is worth building. Here’s what E-Z can do for you. 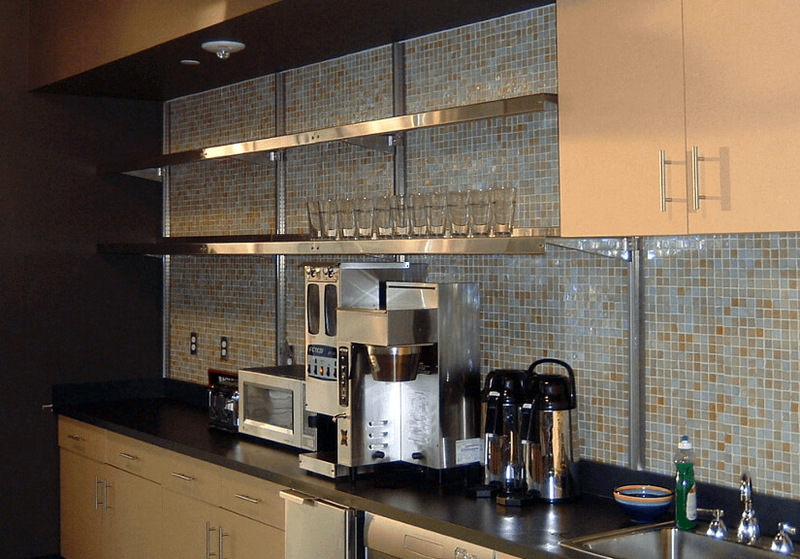 We can help you transform any space into durable, space-efficient storage, work, or display surfaces. 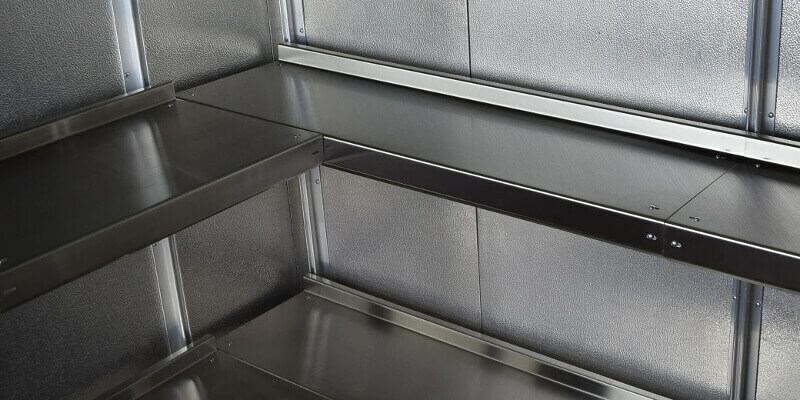 Our components are extremely versatile and easy-to-configure, even in odd or tight spaces. When you call E-Z, your point of contact is an E-Z Shelving Product Specialist (not a salesperson) who knows how to help. 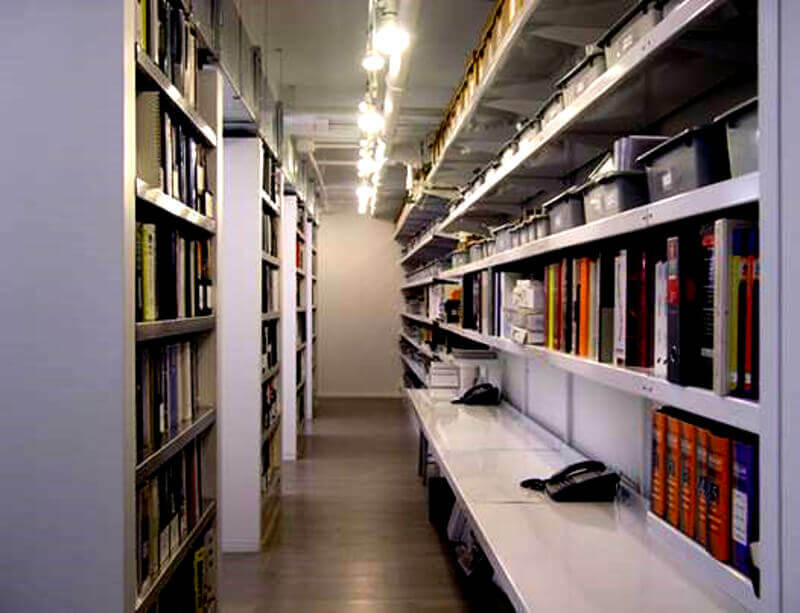 An easy way to start a successful project is to call or email with some room measurements, an objective in mind, and let your specialist help you zero in on the perfect shelving system design. E-Z’s design services are free. Your specialist translates your design into a quote that includes full pricing (including a shipping estimate), a parts list, and system drawings. Quotes are delivered within 36 hours. Review your quote with your specialist and request adjustments as needed. When you’re ready to move forward we’ll arrange a suitable delivery date. 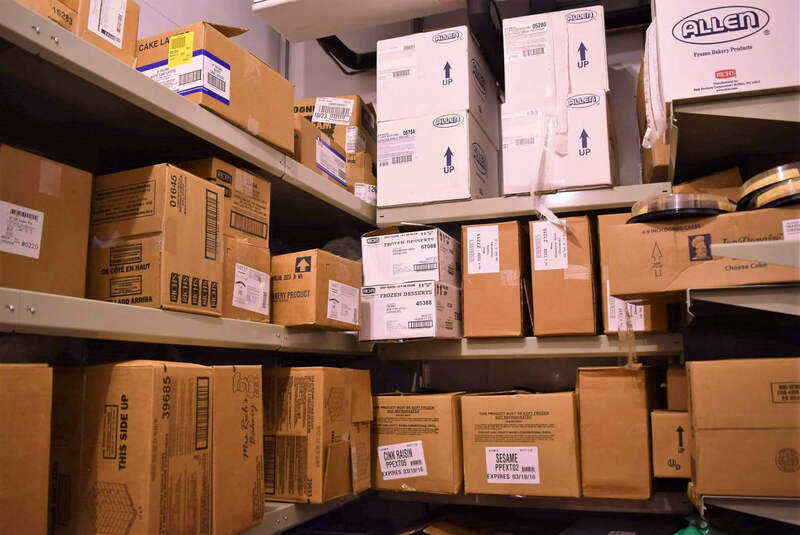 We deliver your shelving system components in carefully-constructed packaging, ready to install. Inquire about rush orders. 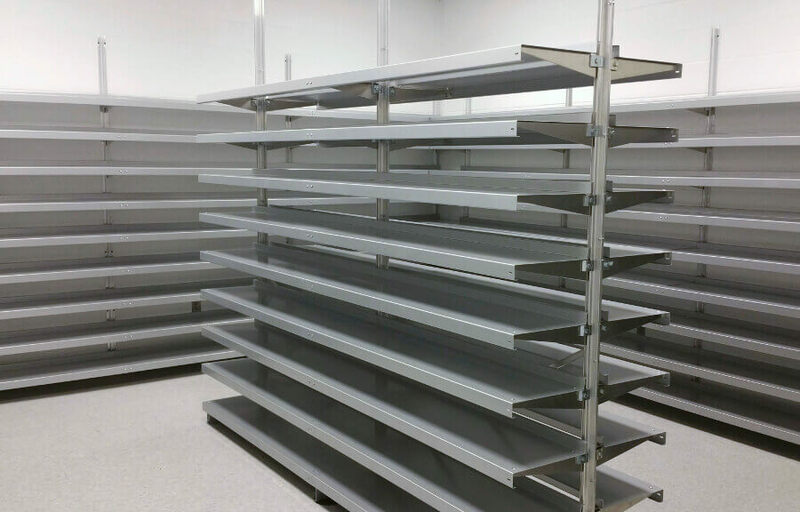 In less than one day a skilled member of your staff can install up to 100 linear feet of E-Z Shelving. You can expect it to look good and perform for decades. When a room is to be re-configured for another purpose it’s easy to reconfigure E-Z Shelving, or move it to another room. We’ll be happy to help you with the re-purposing. 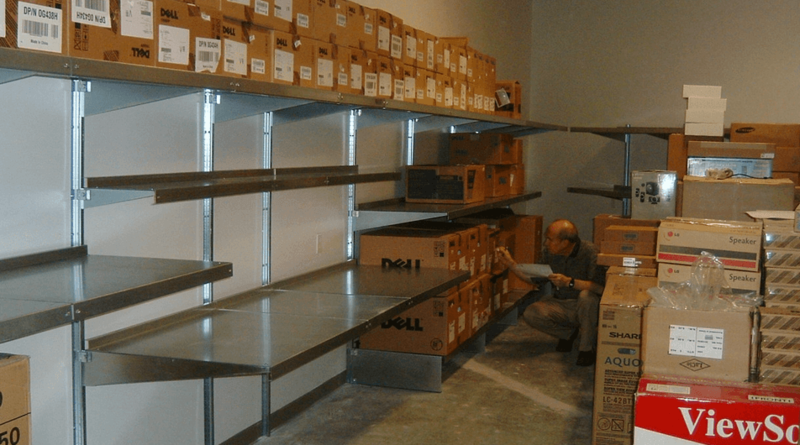 E-Z Shelving will be an all-around workhorse for your organization. 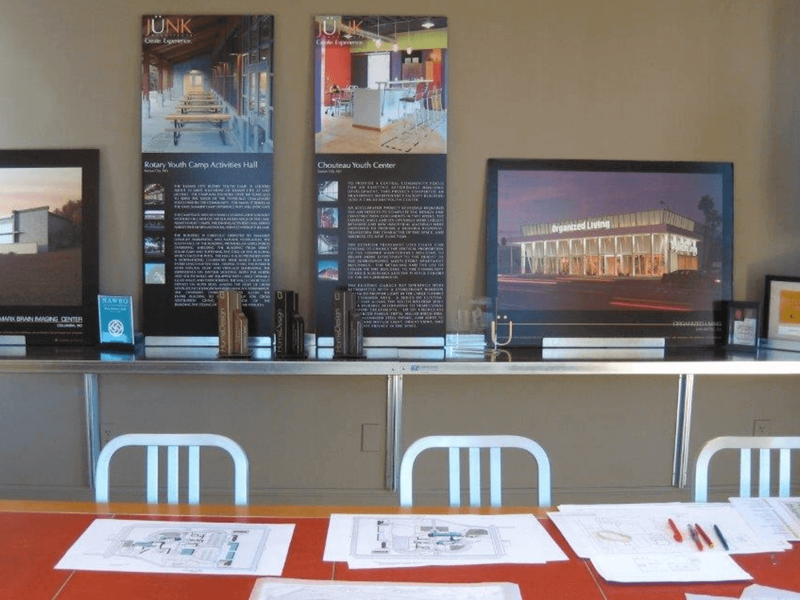 Take a look below at the different ways we help our customers make use of their space. Supports for Wood Shelving and Desktops. 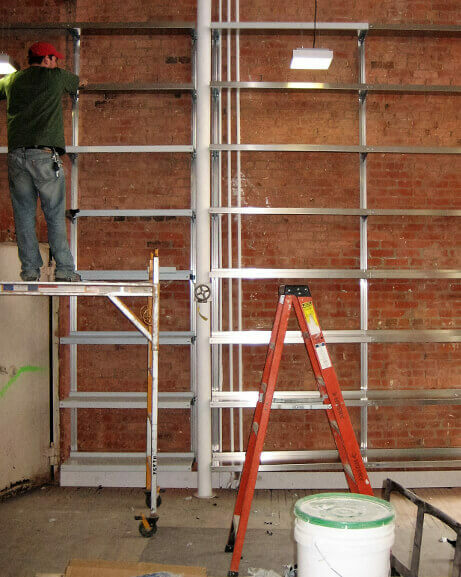 Install our uprights and brackets for floor-to-ceiling storage systems. Our system presenets a clean front to the user - No front posts. Strong, clean shelf lines for a classic look. 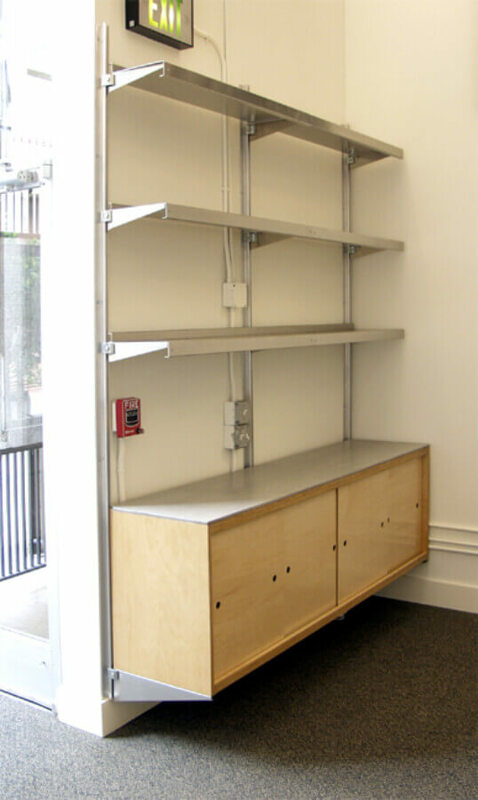 Add E-Z's louvered shelves for air flow, passage of cabling, or aesthetics. 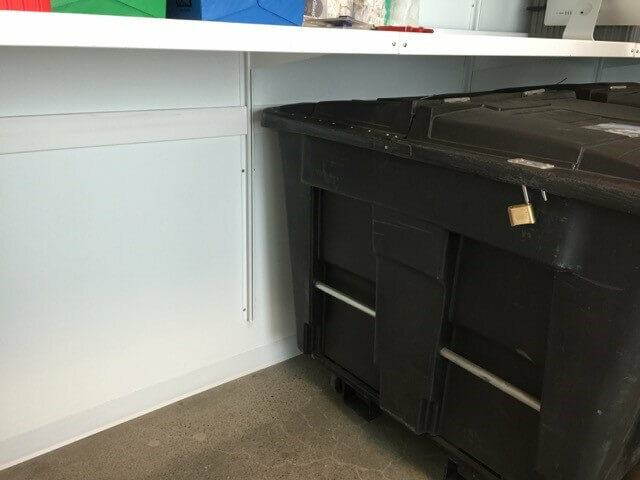 Storage, display, and work surfaces built into a room partition. Ceiling brackets anchor freestanding brackets in front of this glass partition. 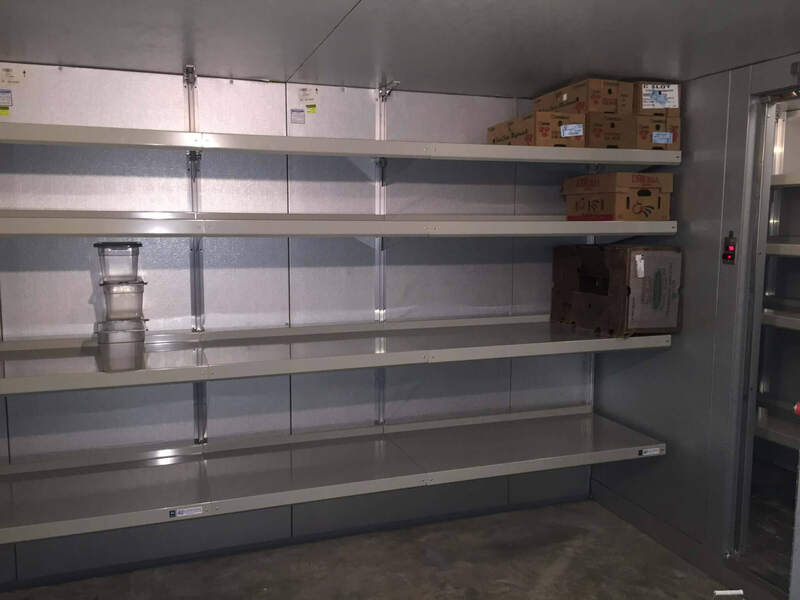 E-Z builds product display shelving that endures difficult environments. 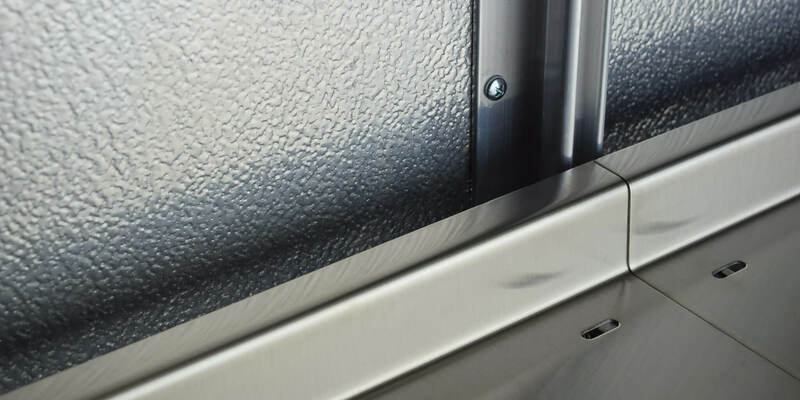 Add a metal accent to any room with E-Z's zinc, aluminum, and stainless components. 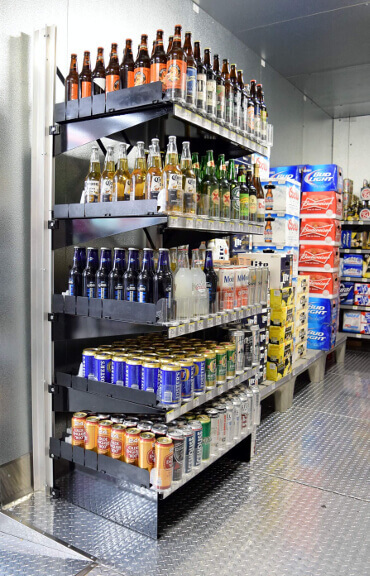 Move items off of the cooler floor with wall-mounted shelving by E-Z. 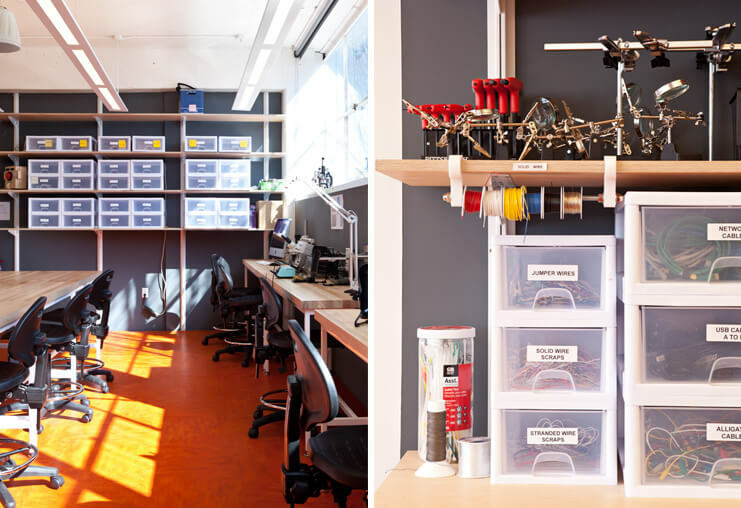 Lab shelving in a variety of styles and finishes. 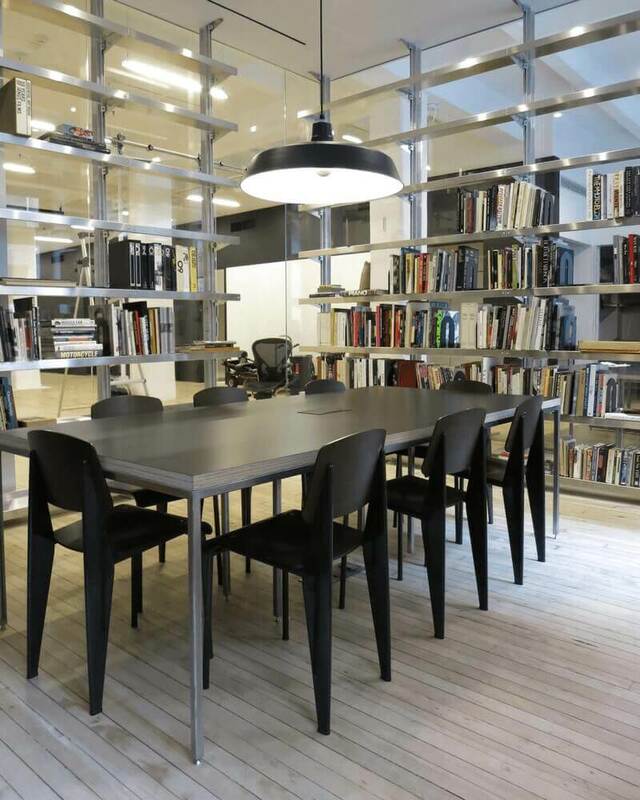 This New York City design library utilizes both wall-mounted and freestand uprights by E-Z. 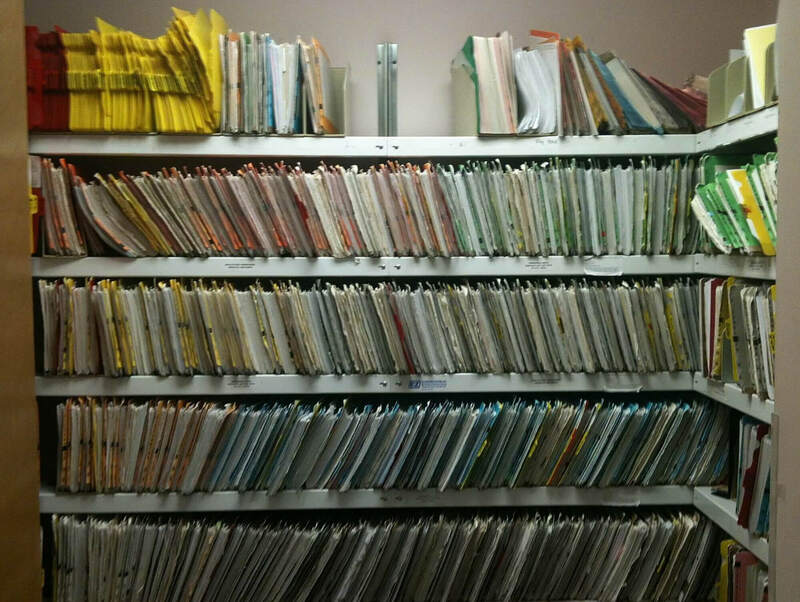 Set shelves to precise heights for your documents and other media. 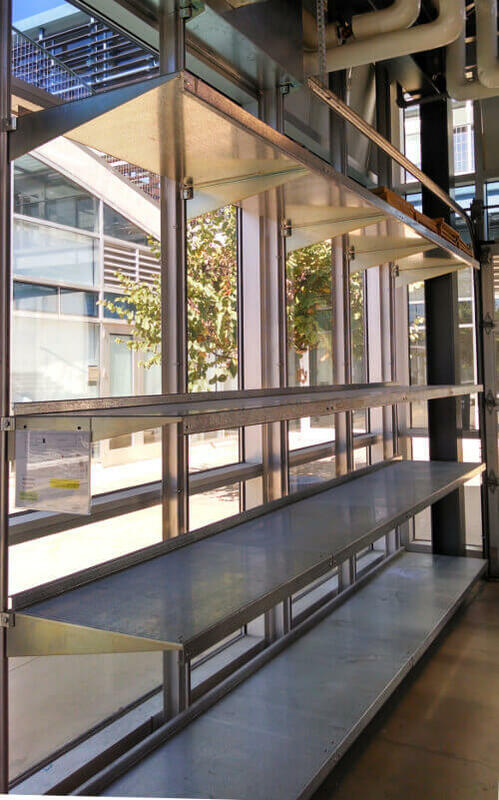 E-Z's galvanized shelves complement concrete and glass. 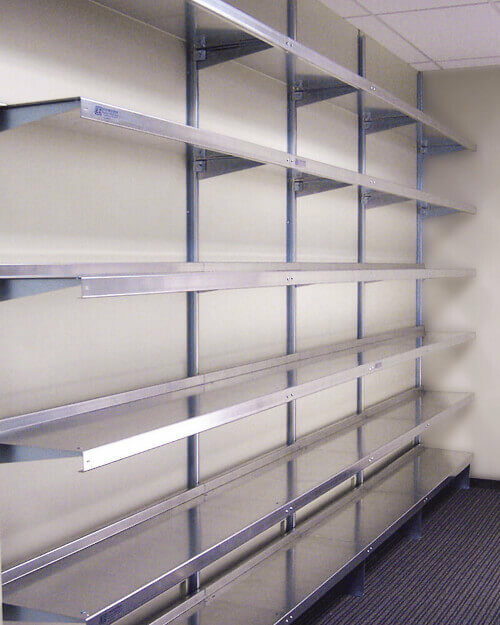 E-Z Shelving can easily transform an underutilized space. Place your storage shelves at any height on the wall. 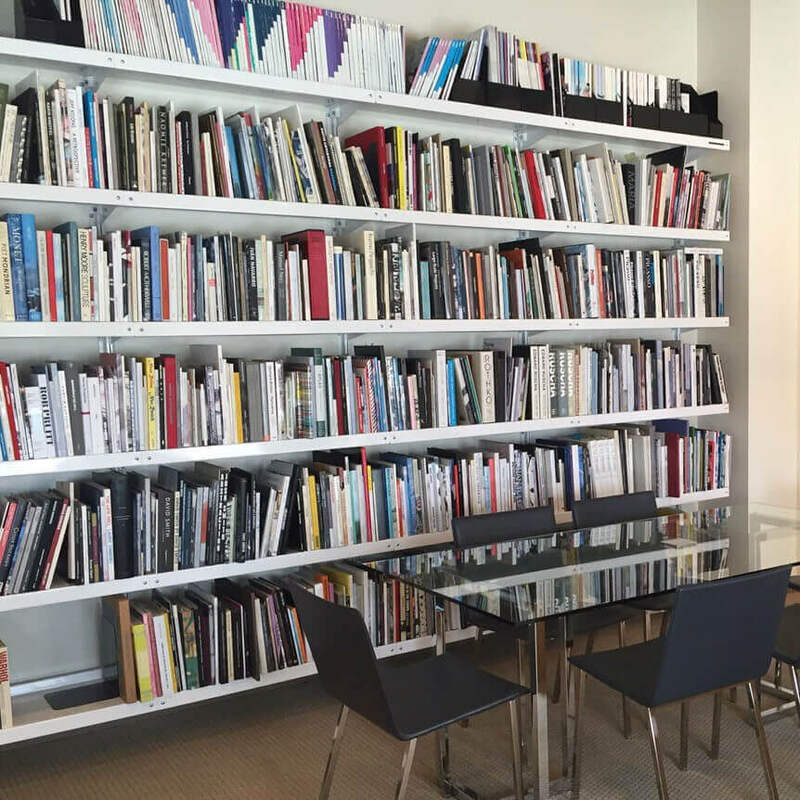 Aluminum shelving and glass form a library space at this New York City design firm. 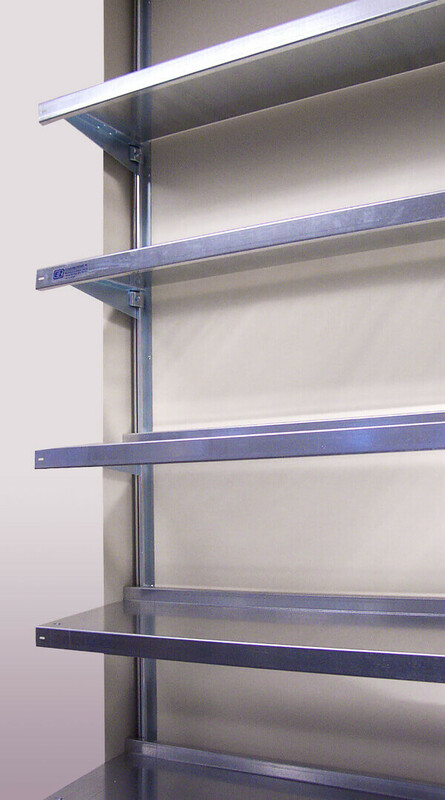 Eliminate front posts from wire shelving systems with E-Z's knob brackets. 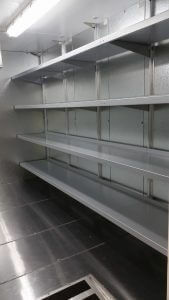 E-Z Shelving's NSF-listed powder coat can help you meet local health code requirements. Utilize your walk-in space from floor to ceiling. Add E-Z's foot brackets to the lowest tier to handle employee stepping. E-Z's upright mount to studs, tile, masonry, and even drywall (depending on loading requirements). Add open-front, continuous shelf tiers where wall-mounting isn't feasible. With E-Z Shelving it's simple to work around other wall elements. 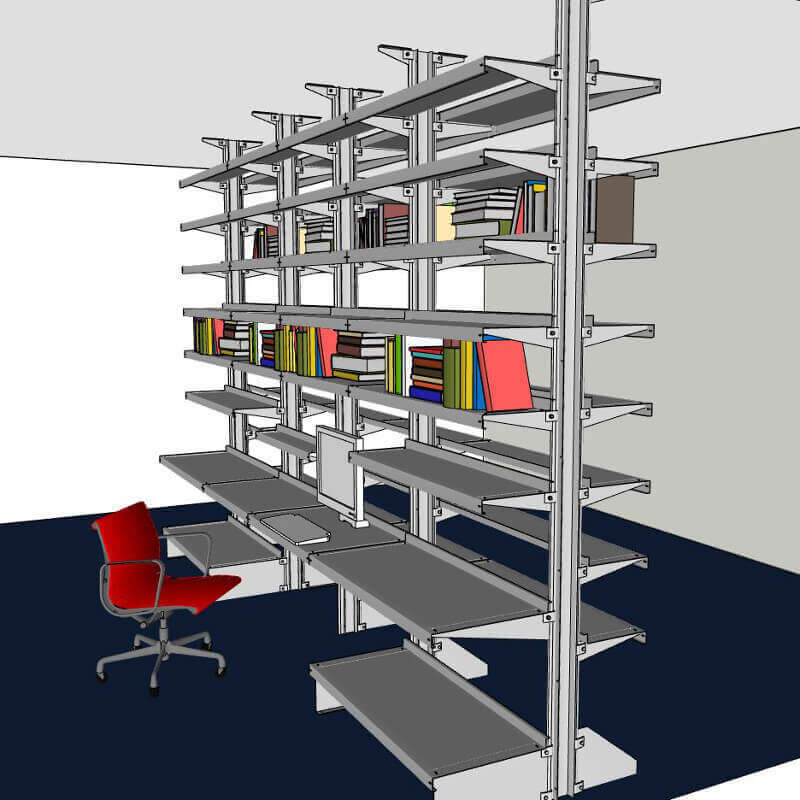 E-Z Shelving's components are extremely versatile. 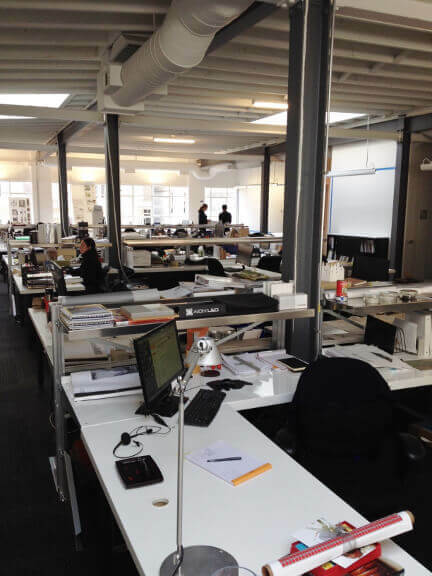 Design your own custom workstations. 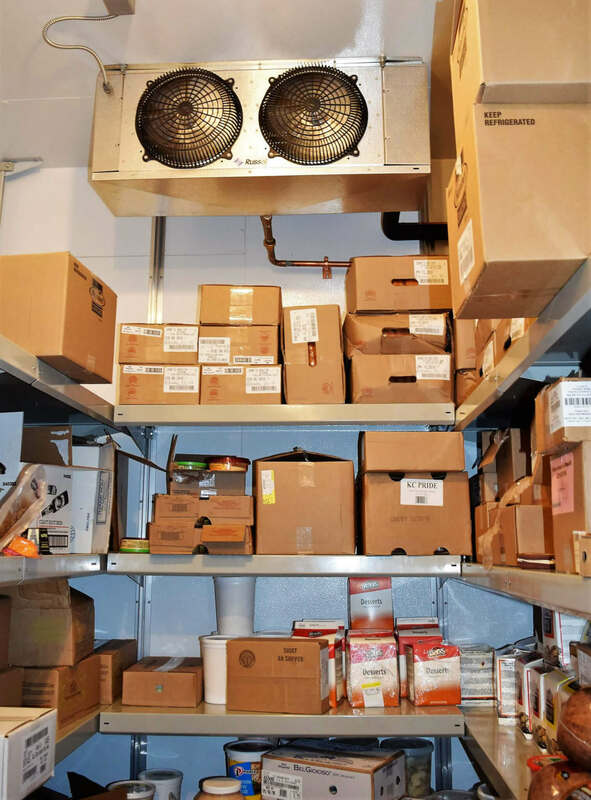 Adjust your shelf tiers to optimize your walk-in cooler/freezer. 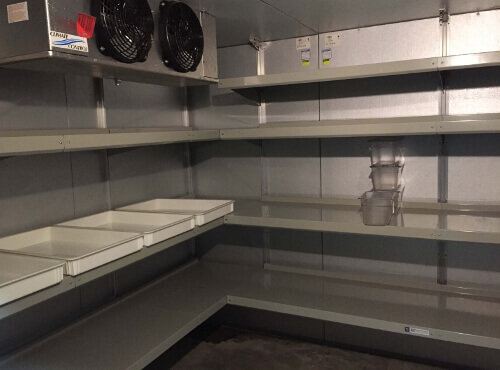 E-Z can extend your walk-in cooler shelves through corners. Add a desktop to any shelving configuration with E-Z's heavy-duty shelf brackets. 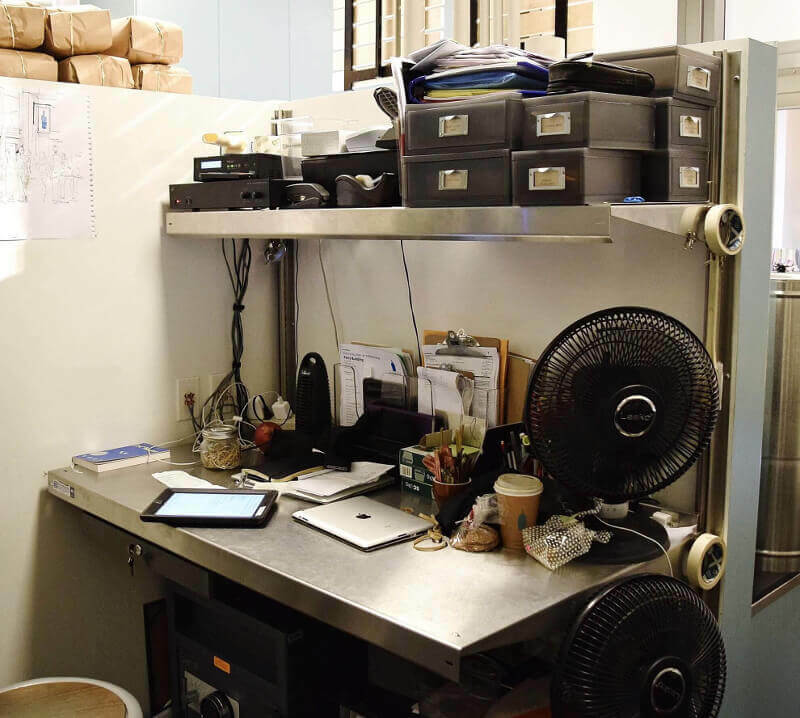 This partition wall supports E-Z product display/storage shelving on one side, and this nook workstation on the other. Standard powder coat colors include white, tan, gray, silver, and black. Take full advantage of your limited space with shelf lengths to 1/16th of an inch. E-Z's stainless steel shelving system provides the storage you need in any laboratory space.